Dianabol - Manufacturers Hi Tech USA - is the ONLY LAW EXAMINED PRODUCT on the market. 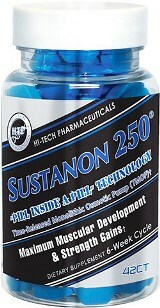 Hi-Tech Dianabol 60 Tabs - Natural steroidal anabolic agent to increase muscle mass New formula! 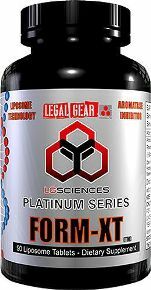 Revolutionary catalyst for increasing lean mass and strength. A powerful combination of precision herbal extracts that you trigger your body to lose muscle and fat - 33:1 androgenic ratio. 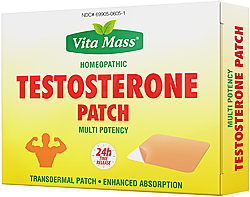 Powerful anabolic messenger with a 33:1 androgenic ratio. 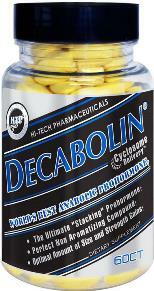 Natural Steroidal anabolic agent designed to increase lean muscle mass. Clean , high quality gains in strength, and a distinct hardening effect on the physique. 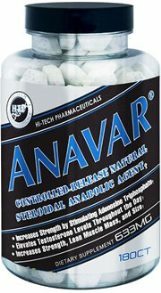 Dianabol the lead role on the Hi-Tech Muscle & Strength team, which also Metanabol, Estrogenex, Anavar and Somatophen is it acquired muscle protein in the muscles, so that a state of general anabolismwhen normal protein breakdown takes place. Dianabol inhibits or blocks signals and keeps your hard earned muscles intact. Dianabol: What makes anabolic steroids Dianobol found that bodybuilders so remarkable that it was the king of steroids? It was to help their ability to muscle and strength in a relatively short period of time. 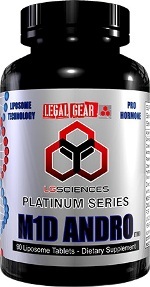 The king has again and was so aptly brand Dianabol because of its remarkable ability to muscle and strength through anti-proteolytic means, the science and practice suggests that it can be important to the overall quality of the muscular growth than direct anabolic, protein synthesis activity. The new King of bodybuilding supplementation is no longer a drug. 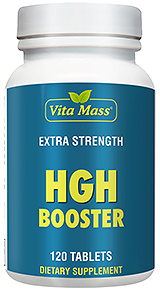 This is a powerful combination of precision herbal extracts that losing a multi-faceted approach to building muscle and fat through an even wider range of metabolic pathways than its predecessor. And because these pathways are not hormonal, through mechanisms that yield permanent gains in muscle and strength. Dianabol is the newest development from the research and development team at Hi-Tech Pharmaceuticals, Inc., and is one of the five products in the Hi-Tech Muscle and Strength line of anabolic nutraceuticals, which also Estrogenex, Metanabol, Somatophen and Anavar. While all five products act in synergy to create a highly anabolic and anti-proteolytic growth environment, Dianabol is the core protein-sparing driver, which means that Dianabol’s primary role in the team that acquired muscle protein in the muscles. Thus, Dianabol helps to a state of general anabolism in times when normal protein breakdown occurs, as in times of physical and mental stress, intense training, training, caloric restriction and when weight training is rare. In other words, if your body normally reduce muscle protein to inhibit amino acids for diversion to other areas of the body, Dianabol or blocks the breakdown signals and keeps your hard earned muscle intact. With the assistance of Pharmatech, Ltda. Belize-research and development of the company, the active compounds in Belize Man Vine were isolated. The active ingredients are phenylethanoid glycosides, the amazing anti-catabolic, anti-inflammatory and relaxing properties. Dianabol contains a high concentration level of these phenylethanoid glycosides, brings dramatic results. In a study by Pharmatech among three groups of male subjects with a weight training, two groups that used to Belize Man Vine extract gained 7.8 lb and 6.3 lb or more muscle mass than the placebo group over a period of eight weeks. 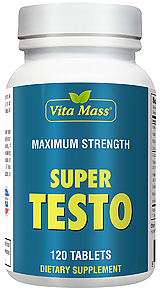 The benefits reported, which are universal to all test subjects, are increased muscle mass, better and higher strength. What is of particular interest that the group won 6 / 3 more pounds of muscle has such a diet, comprising 50% of calories and protein than the group that gained 7.8 lb, clearly, the anti-proteolytic action of the extract. It is also likely that the phenylethanoid glycosides may have an inhibitory effect) on the inflammatory response from training and thus increased recovery and enhanced nitric oxide production (from histamine inhibition of the influencing factors to the acquired muscle gains. Dianabol does not end with Belize Man Vine in its formulation ... to take to his name and reputation there are many other mechanisms by which Dianabol works. 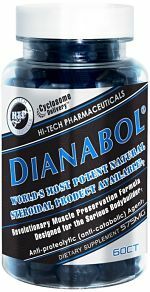 Dianabol other components as anabolic agents, making the protein synthesis and nitrogen retention. 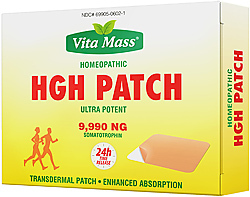 These components have adaptogenic properties, as well, so that the body in order to work and fight fatigue. This leads to musculo-skeletal growth and alsoincreases remarkable strength. The properties of Dianabol anti-catabolic/adaptogenic an important "normalizing" effect on all bodily functions. This leads to improved sleep, physical and mental state and helps prevent overtraining. Dianabol further additional measures as they relate to the normalization of the synthesis of RNA during stress, it also allows the body to avoid catabolic states. This effect allows the body to lead to a significantly higher level and again after strenuous exercise. Dianabol also works in conjunction with your body’s own insulin mechanisms by) the production of insulin (creating a temporary anabolic state, which protein breakdown (better utilization of the protein), increasing storage of glycogen in the muscles and the cell content free fatty acid oxidation. Dianabol also has been shown to significantly increase insulin growth factor (IGF), a highly anabolic hormone in the liver and other tissues. Ingredients: Belizian Man Vine Extract (80%) (as BMV80) (Root), Tribulus Terrestris (90% steroidal Saponins) (Fruit), 25R Spirostan-5A-Diol-6-one-3-one, Dehydroepiandrosterone Acetate, Dehydroepiandrosterone Deconate , phytosterol (90%) Extract (Standardized for Beta-sitosterol, campesterol, stigmasterol, Brassicasterol) Belizian Wild Yam Extract (as BWY 6015), Ribonucleic Acid Complex 3 (Ribosomal RNA, transfer RNA, messenger RNA), 7-keto - DHEA, 6,7 Dihydroxybergamottin, Naringen, Vanadyl Sulfate Ethyl Ester, Smilagenin, Dicyclopentanone. Other Ingredients: Macro Cellulose, Dextrose, Sodium Starch Glycolate, Explotab, hydroxy Propylmethylcellulose, Magnesium Stearate, Stearic Acid, Silica, FD & C Blue No.. 1, FD & C Red No.. 40. Suggested Usage: Take one (1) tablet three times daily with meals. This is important because the strength of the product may cause nausea when eating without paying.